The perfect personalized gift to get your favorite bottle popper. One side features monogram and year. The other side has room for a full name in classy font. 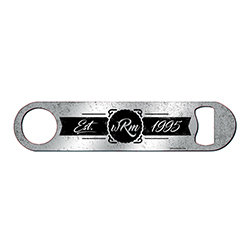 Our Original designs are fused directly and permanently onto sturdy, ergonomically-shaped, stainless steel (pub-style) bar blade bottle openers. 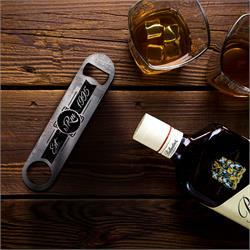 Great for gifting or personal use!